SAN BERNARDINO >> The 66ers have had little success against the Quakes this season. But in a day game Wednesday at San Manuel Stadium, they showed some resiliency. The Sixers rallied from an early deficit then David Fletcher’s bloop single with one out in the 13th inning scored Ayendy Perez with the winning run in a 5-4 victory over the Quakes. The victory in front of an announced crowd of 1,463 that dwindled to less than 100 by the game’s end, improved the record for the Sixers (29-55) to 4-13 vs. the Quakes (51-33) this season. The Sixers had rallied from a 3-0 deficit with four runs in the seventh, capped by Taylor Ward’s two-out, two-run ground-rule double. The double would’ve scored a fifth run had it not bounced over the fence in center field. “We took better at-bats in that inning,” said Fletcher, who also had an RBI single in the seventh. “Pitches we normally hit, we were missing early in the game, but we didn’t in that inning,” Sixers manager Chad Tracy said. The lead didn’t stick as Donovan Tate’s sacrifice fly in the ninth tied the score 4-4 for the Quakes and sent the game into extra innings. Perez was 3 for 4 with two walks, two runs and an RBI while Ryan Sebra and Fletcher had three hits apiece for the Sixers. Erick Mejia had three hits and scored twice and Edwin Rios had two hits and drove in two runs for the Quakes, who had beaten the Sixers in 11 innings Tuesday night. The Quakes had just one hit in 14 at-bats with runners in scoring position Wednesday, compared to 5-for-13 for the Sixers. Quakes starter Tommy Bergjans’ record stayed 2-8 despite lowering his ERA to 4.79 by allowing three earned runs and striking out eight in 6 ⅓ innings. Sixers starter Justin Anderson came out after four innings after he felt “something weird” in the middle finger of his pitching hand but Tracy said it was only precautionary and he expects Anderson to make his next start. Despite a disappointing week in when they went 1-7, the 66ers earned the California League’s batter of the week award for the first time this season. Outfielder/designated hitter Brandon Bayardi had a huge week, going 14-for-32 in eight game,s with two doubles, two triples, four home runs, 10 RBIs and nine runs scored. In Sunday’s doubleheader split, he went 4-for-8 with two home runs, five RBIs and four runs scored. Although he missed about two months of the season from late May to late July, Bayardi has had a very good season, batting .310 with nine home runs, 35 RBIs and a .394 on-base percentage in 55 games for the Sixers. Bayardi was the Angels’ 36th-round pick out of UNLV in 2013. He is the first Sixer to be Batter of the Week this season. Chris Ellis, Victor Alcantara and Sean Newcomb won Pitcher of the Week honors. Like the Sixers, the Quakes had one batter (Brandon Dixon) and three pitchers (Jose DeLeon, John Richy, Chase DeJong) win the league’s weekly award this season. I just had an exchange of e-mails with Matt Blaney from the California League office to clear up the potentially confusing playoff scenario in the Cal League’s South Division w.
So far, Lancaster and Lake Elsinore are in the playoffs, but the 66ers, Quakes and High Desert are still in the running for the division’s last playoff spot, with 4 games remaining, including tonight. The 66ers (tied for 2nd with LE, 1 game back of Lancaster), need to win the 2nd half to make the playoffs. BUT, they only need to tie for the 2nd half title. Matt said that if the 66ers tie with Lake Elsinore (they can’t tie with Lancaster, because they are playing Lancaster), for the 2nd half title, there would be NO 1-game playoff, because Lake Elsinore is already in the playoffs. 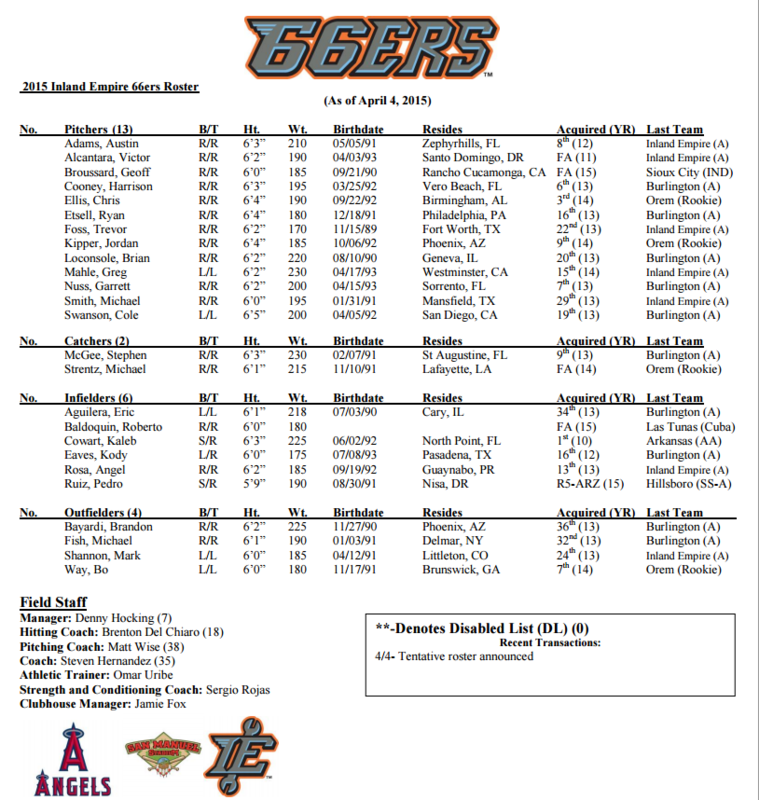 The 66ers would get in and play Lake Elsinore in the first round. The Quakes and High Desert can only get in if the 66ers are not involved in the 2nd half title. They WOULD have a 1-game playoff if the 66ers aren’t involved and if the Quakes and HD are tied. HD leads the Quakes by 1 game, with 4 left. Here’s who plays who: 66ers at Lancaster, Quakes at Lake Elsinore, San Jose at High Desert. In the North Division, it’s between Visalia and San Jose for the last playoff spot, with Visalia leading by 3 games. Bakersfield and Stockton are already in. 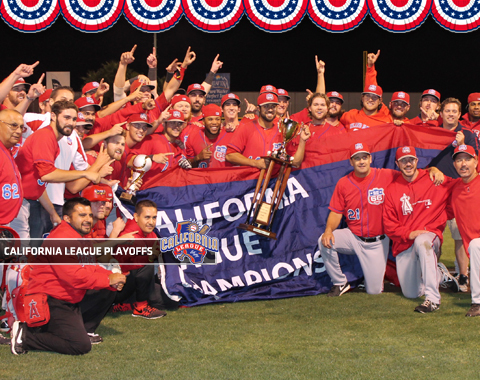 Although admittedly I didn’t get to cover many games in the last half of the season, I have been considering how surprising a run it was for the 66ers to win their sixth California League title, sweeping San Jose in the best-of-five finals on Saturday night. It was the franchise’s first and the first for an Angels affiliate since Lake Elsinore in 1996. There are some similarities with this team and the last Sixers team to win a title, in 2006 as a Mariners affiliate. That 2006 team, managed by Gary Thurman, won the first half in bizarre fashion. Poor scheduling left the Sixers a game short in the first half an a half game behind High Desert. So the Sixers’ last game of the 1st half (and High Desert’s first of the 2nd half) was a Sixer victory that tied them for the first half title. So the next game, also against High Desert was another Sixer win, and the first half title, clinching a playoff spot. Then the team was gutted. Players were promoted and what was left was a rag-tag group primarily of non-prospects. 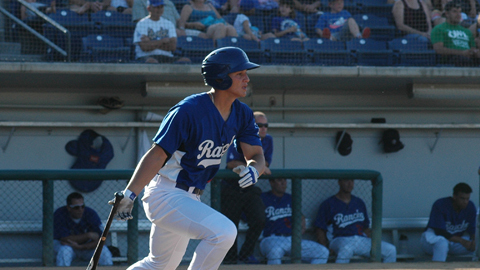 The Quakes and 66ers open the California League playoffs on Wednesday in a best-of-3 series against each other. Game 1 is in Rancho Cucamonga, Games 2 and 3, if necessary, are in San Bernardino. Last time Dodgers and Angels’ affiliates met in the playoffs: 2000, San Bernardino Stampede (Dodgers) def. Lake Elsinore (Angels) 2-0. 66ers-Quakes this year: 66ers won season series, 16-8. Team head-to-head statistics: 66ers .281 BA, 16 errors, 4.08 ERA,; Quakes .256, 36 errors, 5.02 ERA. 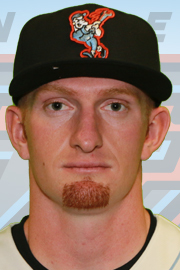 Cal League postseason all-stars: 66ers — OF Zach Borenstein (MVP, .337, 28 HR, 95 RBIs), 1B Michael Snyder (.280, 25 HR, 92 RBIs), 2B Alex Yarbrough (.313, 11 HR, 80 RBIs, 14 SBs), P Mark Sappington (11-4, 3.37 ERA, promoted); Quakes — OF Scott Schebler (.296, 27 HRs, 91 RBIs).